War makes life miserable for both the parties involved, the invader and the invaded. No war is fought without losing men and material, stripping off societal life and political order. Simultaneously it contributes to the progress of the society and preserves the liberty and honour of a state. 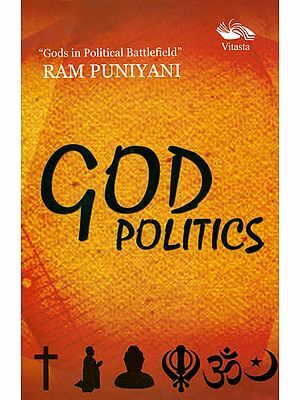 From the Vedic period of India and the epic period of Greece, we have records of wars, and deliberations on the logic, philosophy, politics, ethics, strategies (pre-and post-war) of war, and the ways of reconstructing the war-ravaged societies, paving the way for drastic social and economic changes. 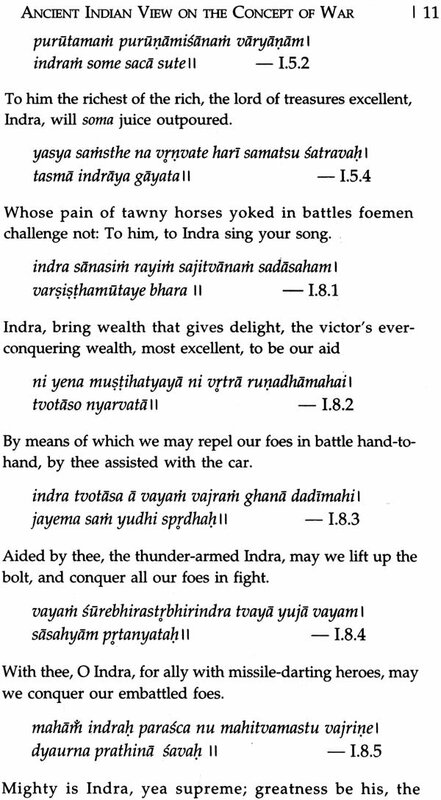 This volume scans the Indian and Western views and approaches on war in the ancient and modern times. 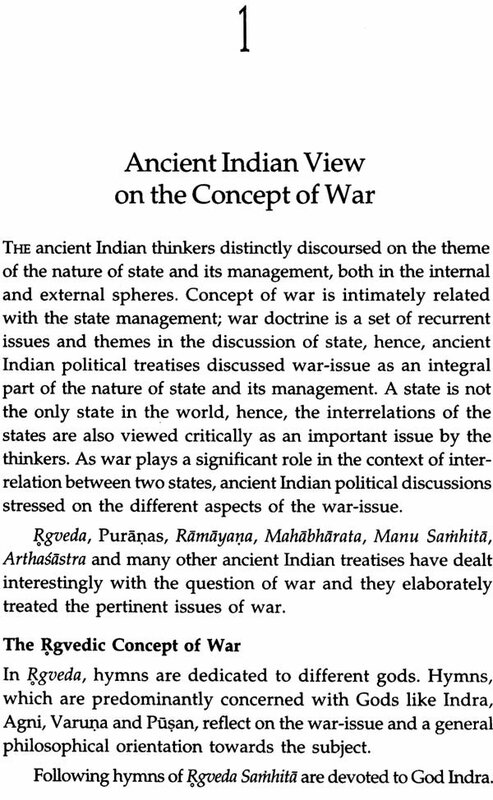 To understand the concept of war in ancient period, it analyses Rgveda, Manusmrti, Ramayana, Mahabharata and Arthasastra from the Indian parlance and the philosophies of Plato and Aristotle from the Western perspectives. 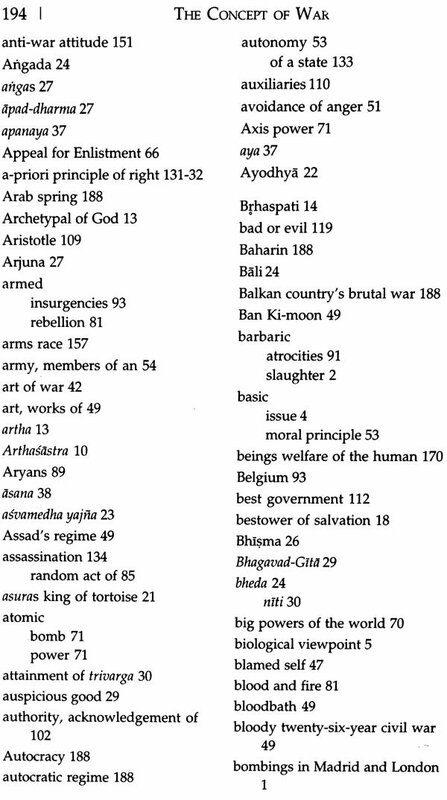 It also makes an in-depth study on the war philosophies of modern Indian leaders like Mahatma Gandhi, Sri Aurobindo, Vinayak Damodar Savarkar and S. Radhakrishnan, and Western philosophers like John Locke, Immanuel Kant, Georg Friedrich Hegel and Bertrand Russell. The book also explains the nature of war, its socio-economic and political aspects, and how the moral and social ethical concepts are related pragmatically to the issue of war. The author echoes serious concerns about the ways by which the present-day global majors approach war. Dr Sanghamitra Dasgupta (1974-), born in a family of intense nationalist spirit as her predecessors participated in the revolutionary struggle for national freedom and suffered long imprisonment, has a natural inclination to study History and Philosophy and received her doctorate from Jadavpur University, Kolkata. She is presently a faculty member of the Department of Philosophy, Maulana Azad College, Kolkata. Dr Dasgupta is credited with participation and presentation of papers in many seminars, symposia, etc. and has authored essays and articles on different issues of political philosophy in different periodicals. She is presently engaged in a research work on Religion and Philosophy in Bengali Literature (of ancient and medieval periods). The word “war” has been a subject of good tidings in all discussions all over the world nowadays. People, of all strata, groups, media, or states most powerful or weak, giant or tiny, are kept occupied with the word and its effects. War is a great human problem. The problem is that any human group or even the entire human race may be destroyed by an ultimate war at any moment. War is purely a human action. It is created, executed and justified by human beings. It is a curious paradox that though war is created by the action of men, it negates human values, morality and existence. War is a brutal and ugly enterprise. Yet it remains central to human history and social change. These two facts together are paradoxical and inexplicable and they reveal a peculiar feature of human being, i.e. human beings have a tendency to dominate the others. The practical fact is that war and its threat continue to be forces in our lives. Recent world events like 9/11 attacks in USA, the counter-attack on Afghanistan, the overthrow of Iraq’s Saddam Hussein, the Darfur crisis in Sudan, the bombings in Madrid and London, recent attacks of Britain, France and USA on Libya, and agitation in Egypt and the overthrow of president Hosni Mubarak prove this fact. Wars are often the death knell of an old social order, the grim handmaidens for the birth of new ones. This process doesn’t happen in a planned or systematic way on a political or ideological blueprint. The hallmark of war is chaos. War attacks the social fabric and brings loss of cohesion and fragmentation to systems and institutions that seemed solid and resistant to change in times of peace. There are strong arguments in the opposite direction-that fundamental processes of social change may be interrupted but not changed in direction by war, that wars do not make fundamental changes in society, that the base is so strong that it cannot be changed by war. War has diverse and seemingly contradictory effects on society. War has undercut socio-economic reforms, but it has also laid the basis for the modern welfare state. There are people who believe that nations have to pursue their interests or defend themselves by war, if necessary, with the recognition that this will normally involve killing on a massive scale. At the other extreme there are those who, because they see killing as the ultimate wrong, regard war as entirely unacceptable. Between these two positions are those who feel the force of the pacifist’s rejection of war, but who also see no alternative to war in certain extreme situations, and who are therefore morally torn. War is therefore one of the most deeply divisives of moral problems. Philosophy is concerned with the life, specially human life –its value, nature, essence and justification. The issue of war naturally carries reflection on all these aspects of human life as war involves the question of life and death. War’s violent nature and controversial social effect naturally raise some ethical problems an enquiry. Is war always wrong? Is there any situation when it can be justified? Will war always be part of human experience or can we do something to make it disappear? Is war an outcome of unchangeable human nature or of changeable social practice? Is there a fair and sensible way to wage war or is it a cruel and barbaric slaughter? At the end of war, how should post-war reconstruction proceed and who should be in-charge? What are our rights and responsibilities, when our own society makes the move to go to war? Hence, war demands philosophical inquiry and resolution quite naturally. As war is a human action, the search for its moral and rational justification, if there, is any, is a pertinent issue of philosophy. Philosophy is the true love for wisdom; wisdom is not devoid of human life and humanity. War, a supremely practical human activity, requires, naturally, a sound understanding in its full philosophical richness. As a matter of fact, if there is no philosophical contemplation upon war then the rules, codes and conduct of war will be purely arbitrary. Societies are more responsive now to the happenings around. War involves social life in multi-faceted way. Hence, a philosophical account of war is significant and it is a primary duty of service to humanity for the philosophy. Every nation, people, community has its own way to meet real social issues. War is a real social in all ages. War plays a significant role in the context of the interrelation between two states. Both the Indian and Western philosophies have struggled with the problem of war since ancient times and how India and the Western world treat it in their own way needs ingenious exposition. Since the ancient time war is an enduring reality of human life. Practically, war-reality has not been prevented by the cultural and progressive social development. Recent philosophical analysis of war attempts to resolve some issues. A very common argument in favour of war is that it preserves liberty and honour of a state. 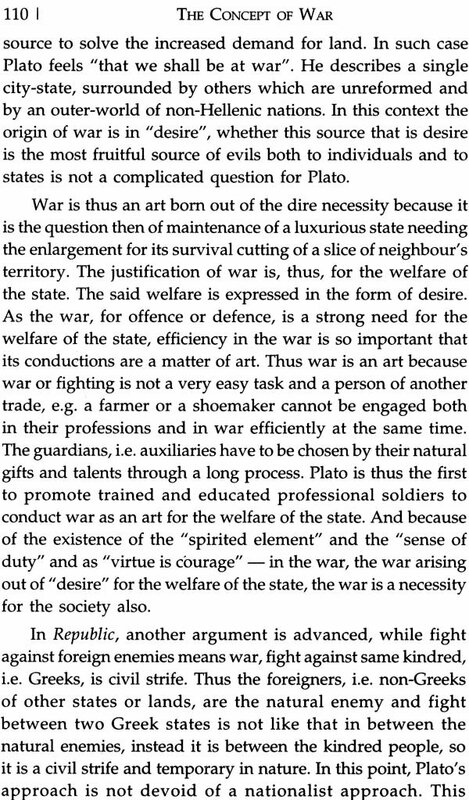 Presently, philosophy of war is trying to sort out that whether the preservation of such abstract values is more important than the preservation and progression of human civilization which faces a severe threat due to the conduct of war. 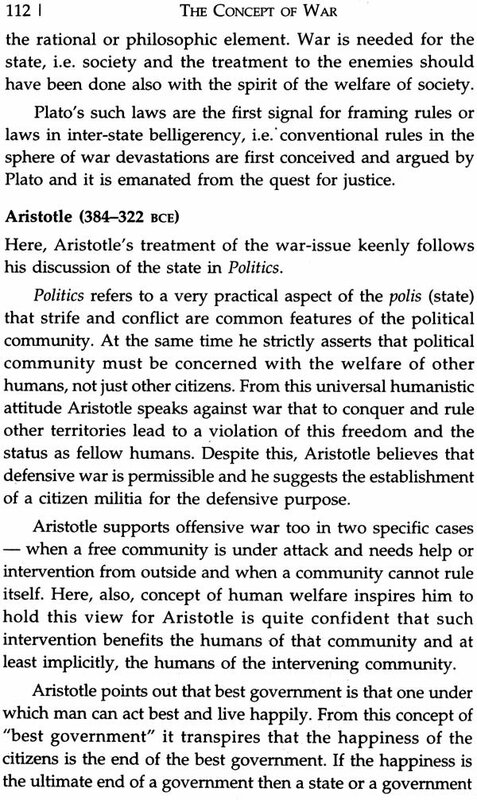 Ancient philosophers justified war as it contributed –and promoted –to the human values. In the present scenario of nuclear war philosophers are engaged themselves with such a question-is war really preserve values? War is a conflict of values between two parties. When a state involves in a war for liberty and self-defence, the question arises that whether this war preserves individual’s needs and values or personal values are considered secondary to the state machinery. In the past, war was defended as a cause for establishing justice. Present-day war philosophy raises the issue that whether justice can be achieved through the destruction and evil consequences of war, an empirical-practical reality. 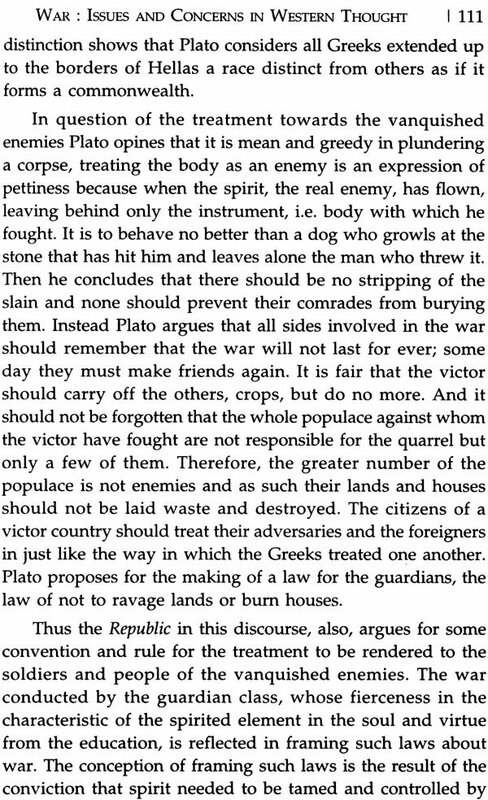 Philosophical understanding of war involves a very basic issue, i.e. the origin of war which, again, reflects on the nature of war. Investigating the causes or the origin of war is significant as it is intimately concerned with the question of the elimination of war. If war originates from the essence of human nature then it is quite difficult to eliminate it. On the other hand, if war is caused by the social environment or condition then men can try to be free from the war. 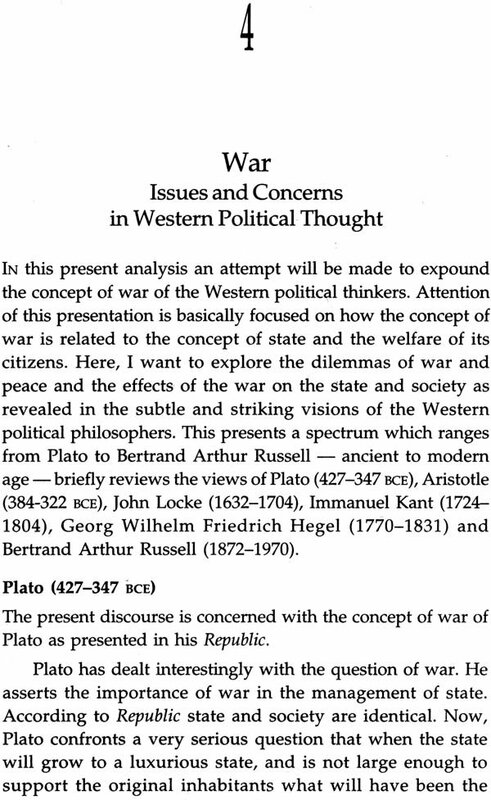 Philosophical account of the causes of war may be viewed from sociological, biological and psychological aspects. Marxist account of war is sociological as well as economical. It advocates that, the division of labour and the existence of private property divide a society into two conflicting classes. There is a constant struggle between these two classes as their interests are quite contrary to each other. This conflict between the classes leads to war among different states and nations. Conflicts of economic interest and the search for markets and raw materials contribute to the conduct of war. Sociological perspective of the causes of war hopes that the changes in the social and economic conditions may control and prevent war. In future, a classless society will be formed and then war will be a thing of the past. According to the biological viewpoint, the origin of war lies in the very nature of man. 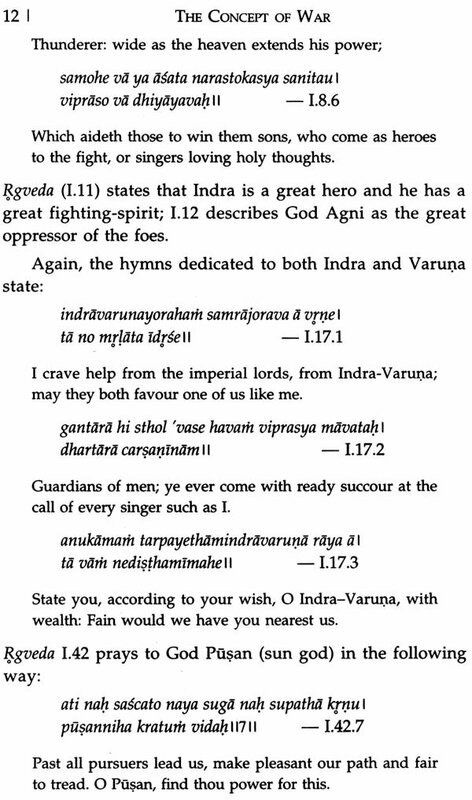 Man possesses an animal instinct, an aggressive attitude and this instinct or attitude is quite conducive to war. War-instinct is a biological, natural and hereditary element of the human being and therefore, the elimination of war is an illusion or dream as the essence or nature of man is responsible for the origination of war. War springs from the minds of men –this is the main principle of the psychological view. It is evident that, man has self-love, desire for self-preservation. But he has a death-urge also. If he is not satisfied with his life then he may come to love death. This love for death attitude inspires him to get involved in war. Till the first half of the twentieth century, practically, it is observed that war originated from the socio-economic sources. The society was divided into two classes, rich and the poor and the war was a conflict between them in which the rich section won as they were more powerful. Quite interestingly, concept of modern war has made a change to this aspect. Modern war, with its new weapons, cannot confirm the victory of the rich like the earlier wars. Moreover, the role of religious issues is not presently so significant as the contribution to the conduct of war as it was in the past. Modern war, to some extent, contributes to the technological advancement. War strategy naturally demands modern, technically advanced weapons and consequently, there are new inventions in this field. Another thing is that, the nature of scientific research has changed due to the modern war system. In the present world, governments of almost all the countries have an increasing concern with the inventions of new, advanced weapons and a major part of the government finance is allotted to develop sophisticated weapons. As a result scientific research in this field is significantly dependent nowadays on the government policy and support. Scientists, involved in this type of invention procedure, are guided mainly by nationalistic approach; they are concerned with the security issue and interest of their own countries. So, neutral and disinterested attitude, which is essential for the pure scientific invention, is absent in this type of scientific research work. Moreover, this recent dependence of the science on the government gradually replaces individual investigation by the collective investigation process. Nowadays, scientists work collectively as a group under the government supervision and it raises a very significant question that whether creativity suffers due to this collective invention. 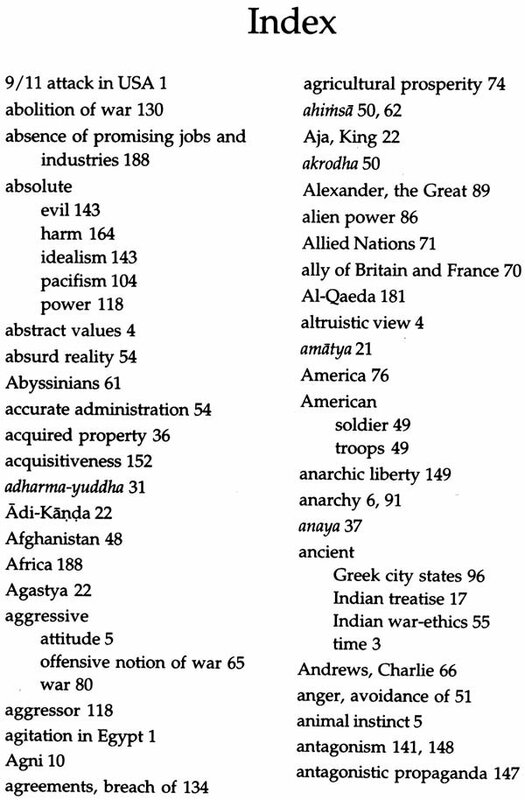 There is an intimate relation between war and international anarchy. This type of anarchy helps in breaking out war. 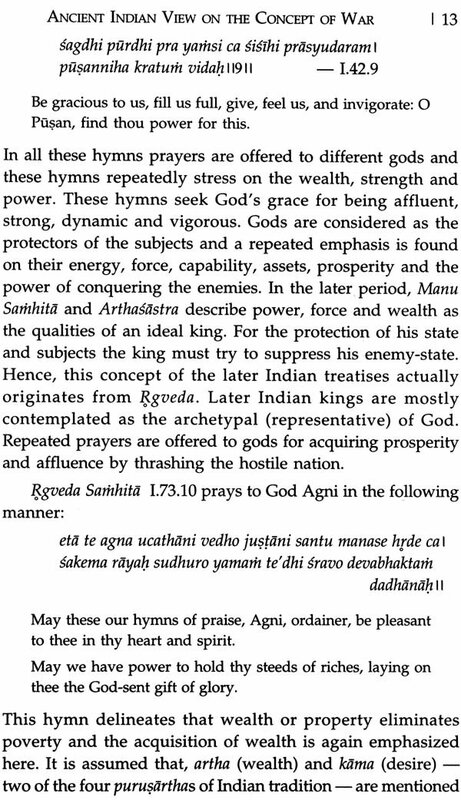 Pragmatically, every state or nation forms its laws from the nationalistic outlook and if there is any international law or treaty which is not compatible with its self-interest then the nation prefers its own interest first and this type of attitude is quite conducive to war situation. Again, war is a conflict of interest between two parties just like crime. Both crime and war spring from some conflict of interest and in both cases this conflict is tried to be solved by using force. If this sort of conflict is a natural disposition of human being then crime and war cannot be eliminated totally though they can be minimized; otherwise, socially or economically conditioned conflicts may be resolved without involving in crime and war. War involves violence and it is a relationship between two or more states. This state aspect of war makes a distinction between war and other types of violence like terrorism, civil strife and national liberation movement. It is the common notion that war is a continuous, unchanging social institution. But the social and economic conditions in which war breaks out have changed over time. To have a clear account of the nature, courses and causes of a particular war, it is necessary to have a clear understanding of the nature of the particular state and society in which the war has occurred. The relationship between the war and the society in which it is articulated and diffused is an important phenomenon in the context of the analysis of war nature. It is observed that with the changing nature of the states the war strategy or war policy has been changing and it is an obvious trend since the past several hundred years. 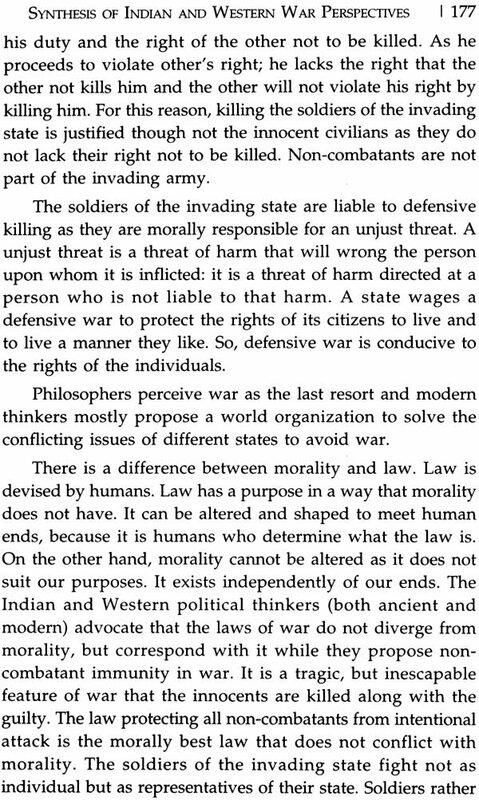 This intimate relation among war, state and society reflects on a very crucial, moral observation. Since the very past, political and social philosophers are remained concerned with the question of identity between state and society. This is a vital issue in the war discussion as it leads to an ethical question. The ethical problem is that, when a state is involved in a war with another state, then what will be the target of war –only the rival state or the entire society, i.e. non-combative population of that state. If state is different from the society then by no means the entire population will be the target of war as war is a relation between two states and not between the societies of those warring states. Hence, the issue of identification of the state and society is important as it is a deciding factor for the formation of certain rules for the waging of war. There is another vital question regarding the relation between war and social change. The question is that whether war can be considered as an instrument of social change or it is a measure of social development. Some maintain the view that social and economic development, spread of industrialization are the causes which help in breaking out war and so, war is a measure of social and economic progression. On the other hand, there is another view which holds that war is a means to social development as it plays a remarkable role in the social, economic revolution. War is a supremely practical human activity and so like all other human activities it is the subject to moral and ethical considerations and principles. It is generally assumed that war is a “last resort”, i.e. for a state, war is the last ethical option. This observation needs critical moral and ethical analysis. Regarding the rules of warfare, a question comes into mind that whether these rules should be theoretical or pragmatic, i.e. which one is more important –the establishment of theoretically consistent and coherent rules or the rules which can be followed in practical, empirical battlefield. This question arises as there is a gap between theory and practice, and consequently a confrontation between the two. It is a fact that we cannot question the theoretical ore philosophical force of a principle or rule only because it is not followed in the practical field. Actually the rules of warfare intend to give a shape to the practice of waging war and it is not so much concerned with the actual happenings. 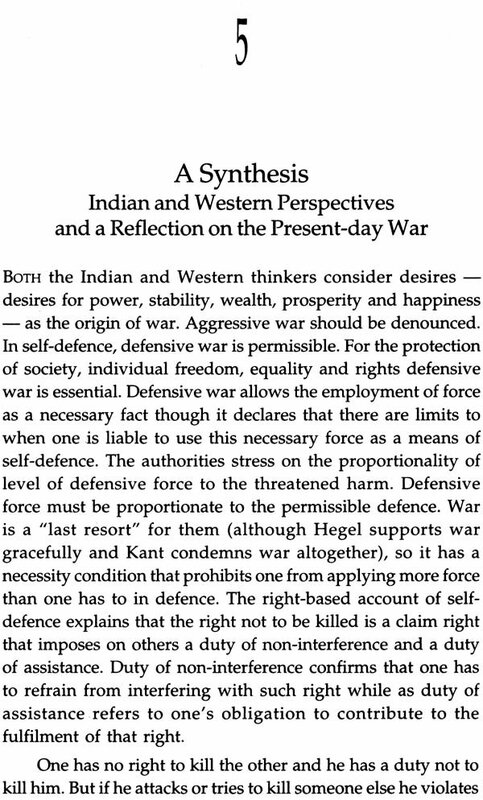 A sound and proper understanding of the concept of war demands reflections on all these philosophical issues which will explain nature and essence of war, its socio-economic and political aspects, and how moral and ethical concepts are related pragmatically to the issue of war.